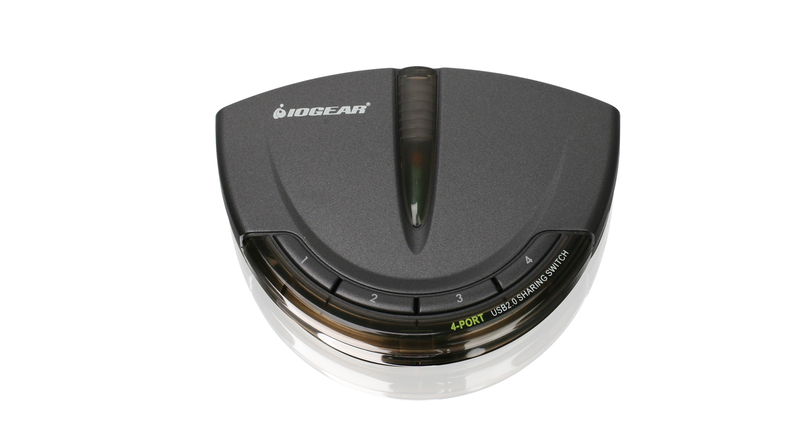 IOGEAR's USB 2.0 Automatic Printer Switch allows four PCs and / or Macs to share one printer or multi-function printer. Simply submit a print job and the printer automatically* switches to the preferred computer. 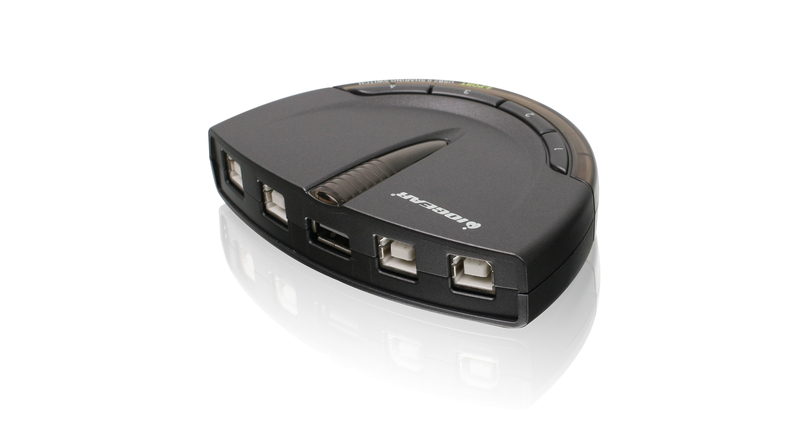 The switch also enables four computers to easily share one external hard drive, scanner, or any USB device. No more plugging and unplugging between computers. 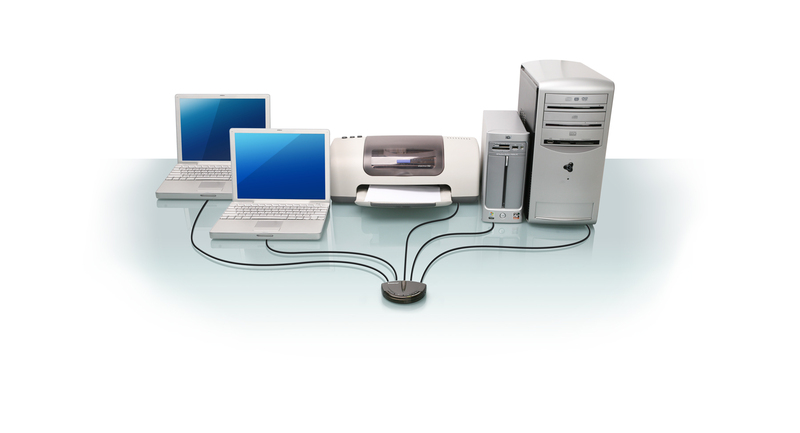 * Automatic switch function is software based and only available with USB printer or the printer function of a multi-function printer. 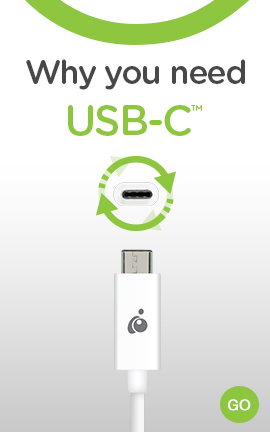 For connecting and using other types of USB devices, you can switch by using the push-button on the USB switch or with the included software. Master Carton Wt. 5 lb. Unit Pack Wt. 0.7 lb.